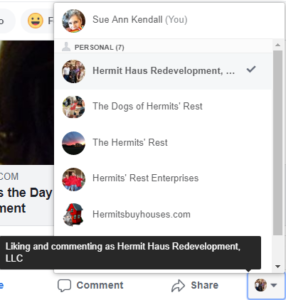 Our little Hermit Haus blog is two years old today! The years have really gone by fast, so fast that we didn’t even realize we had our two-year business anniversary! We’ll know we’ve been an LLC for two years when we have our annual meeting, of course. Gotta stay legal, you know! Alfred and Brody would like the blog more if it was made of paper that they could tear up and chew on. 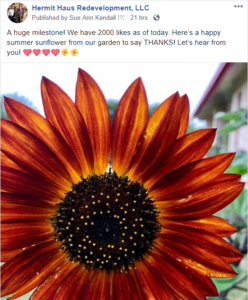 I hope you’ve gotten some good information, a few laughs, and maybe shed a few tears over some of our projects through this blog and the Facebook posts about it. We’ve been learning a lot, and want to give back by sharing what we’ve learned, good and bad. Sharing our joys is lots of fun, too, but we are not afraid to share the sorrows as well. When I realized that October was rolling around, I clicked on the October 2015 link on the right sidebar. Have you noticed that? It’s an easy way to browse around and look at pictures of previous projects, goofy things we’ve done, etc. Anyway, I was amused to see how happy I was to have 100 likes on our Facebook page. We’re now approaching 1500! Hooray for ongoing Facebook marketing campaigns. I looked at the hits to this blog, and though we didn’t have the Google Analytics on two years ago, the data we do have shows steadily building readership. This is still not one of those blogs that millions flock to, but it’s a specialty blog for a smaller audience anyway, so we’re pretty happy with our growth. 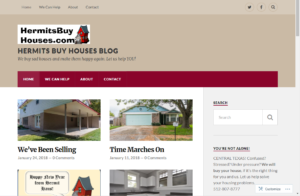 The important thing is that this blog helps us make new contacts, whether buyers, sellers, lenders, contractors, bankers, or other renovators. Some things never change, and one is that we like to put pictures of our pets on our posts. 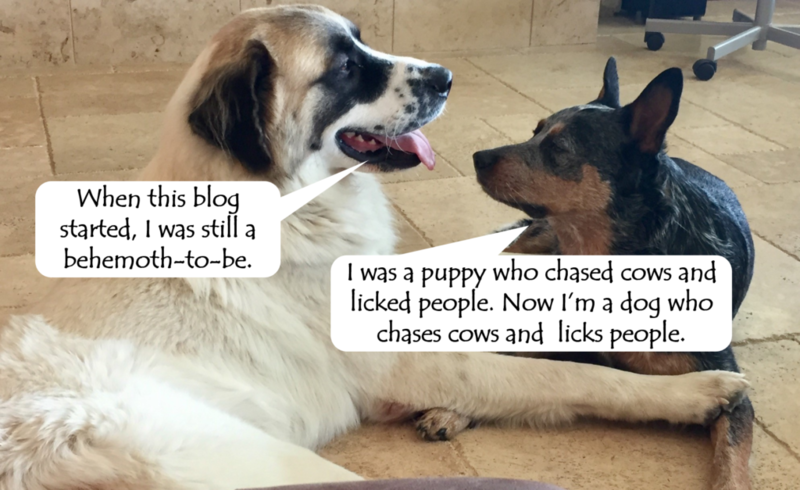 People seem to like animals, anyway, so I asked the dogs about the Hermit Haus blog, and the photos make it clear: they’re not really fans. In fact, Harvey had nothing to say. 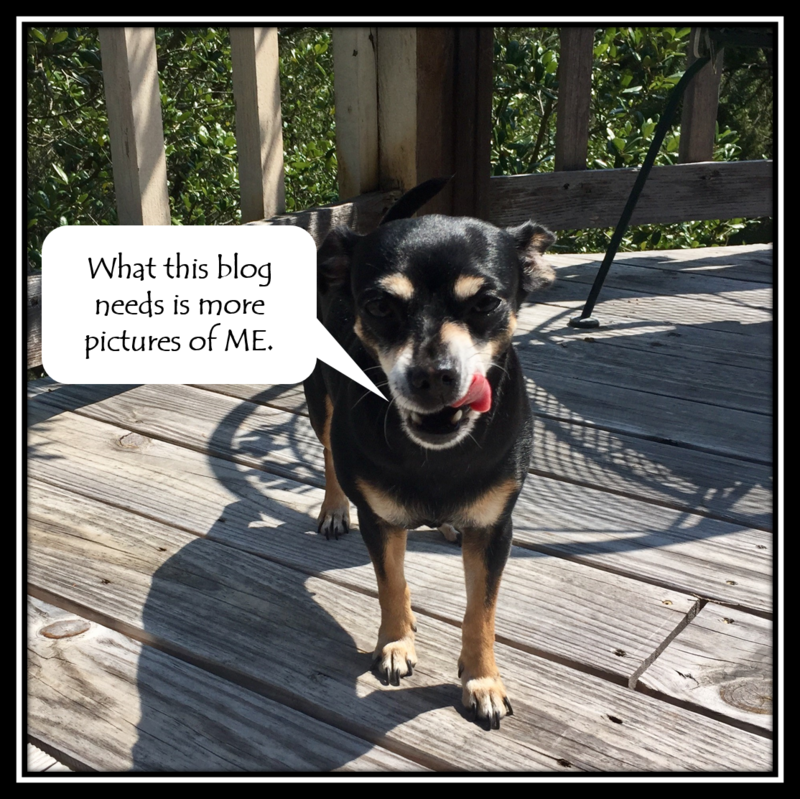 In any case, pet pictures can be a nice break from all the renovation-in-progress pictures from me, graphics made by Lee, and memes, memes memes. Let us know what you’ve enjoyed these past two years. We sure hope to hang around a while and give you more things to think about, cringe at, or say “ooh, aah” about! By the way, this coming week, Lee and I will be at another real estate training. We’ll share pictures and update you on what we learn, as usual, and the team will fill in with their own updates. I, your friendly hermit, care about your opinions! Please share! 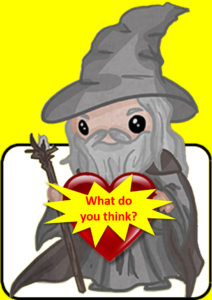 It seems like a good idea to ask our readers what they’d like to see on our pages. Maybe that will get us more readers and more comments! So, with the authorization of our beloved mascot Hermann, we’re asking you to take a short Facebook survey of what kind of content you like best on this blog. If you like it just like it is, vote straight 3! If you want more or less of a particular type of content, just vote 1-2 (less) or 4-5 (more). Your answers to the survey will help us shape future content. The survey is anonymous and no one’s going to get your personal information.